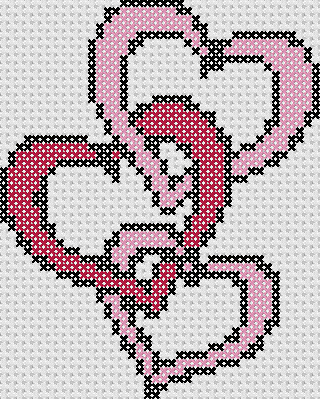 This is called Wedding Heart Links Sampler, a very simple pattern that you can use if you need a personalized design for projects such as a wedding or engagement day celebrations. Counted cross stitch wedding samplers such as this is also perfect if you are just starting to learn needlework or the cross stitching craft. CURRENTLY UNAVAILABLE. Download our White Roses pattern instead. 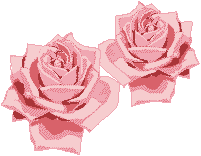 This is one of our free cross stitch patterns called Pink Roses, a beautiful pattern that would be perfect as a project for wedding, Valentine’s Day celebrations, romantic events or if you want to add to your floral stitching collection. This is one of our free cross stitch patterns called White Roses, a beautiful pattern that would be perfect as a project for wedding, Valentine’s Day celebrations, romantic events or if you want to add to your floral stitching collection. This is one of our free cross stitch patterns called Wedding Ring Sampler, a very simple pattern that would be great as a project for wedding or engagement day celebrations or if you are just starting with the cross stitching craft. This is one of our free cross stitch patterns called Wedding Bells, a pattern that would be great as a project for wedding day celebrations or for use as gifts for your loved ones or in any decorations such as for your cushion covers or others.